eBay officially acquired popular analytics platform Terapeak in December 2017. This was a huge move for eBay, who is fighting hard to improve in a world that is becoming increasingly dominated by retail giant Amazon. As eBay sellers, you’re probably wondering how that acquisition will affect your eBay activity, and what changes are expected following the acquisition. Below you’ll find our speculation for the expected changes. eBay has a reputation. It started as a used item marketplace, causing its initial catalog inconsistency. Today, according to eBay, over 80% of the items sold on it are new items. The company is desperate to improve its catalog and their acquisition of Terapeak shows this. They are pushing their structured data initiative in order to drive more sellers to use their platform, and help their customers easily find the products they are looking for, from the best possible seller. This is a similar experience to the one that Amazon customers are experiencing. Starting in the spring of 2018, eBay sellers will have their products matched with other similar products from their eBay catalogue using product identifiers to determine these matches. The truth is, top sellers like to be in control and they love data. eBay’s catalog has millions of products at a given time, and currently, sellers have full control over the listing content. That is set to change now. While the acquisition just took place, we can assume that eBay will implement Terapeak’s listing improvement features into the Seller Hub. This will help sellers better describe their items and optimize their listings, while allowing them to get a better understanding of market prices. By doing this, the item page will be better structured in the first place, that way when uniting several sellers offering the same item under one listing – the listing will be detailed in the best possible way and the catalog will be built the right way, optimized both for users and for search engines. eBay is probably not interested in helping sellers source products and explore the opportunity of selling them in other channels. Their goal is to help sellers improve their performance on eBay, and that is going to remain their focus. eBay will likely pay attention to helping their sellers expand internationally, but don’t expect all of Terapeak’s features to make it into the Seller Hub. Product sourcing features will disappear because helping sellers find new suppliers isn’t eBay’s focus. Expense estimations like shipping costs and tax expenses will not be added and profit margin prediction will not be provided because these types of estimations may deter sellers from listing specific products with high fees and low margins. 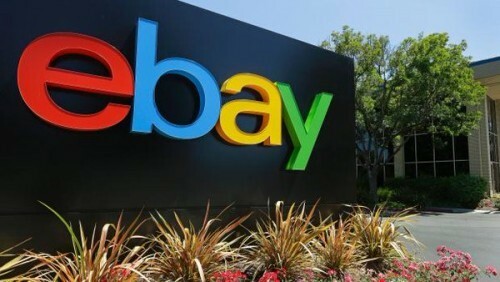 eBay likes having a massive catalog of products, even if not all of them are in high demand. If you want to properly determine the demand level for a product, you will want to run it through other ecommerce intelligence platforms. eBay is a great marketplace, but you would be doing your business a serious disservice if you limit yourself to only selling on eBay. The best ecommerce businesses leverage eBay, Amazon, Walmart, Google AdWords and other channels to their advantage. Any products that you list on eBay need to follow the marketplace’s best practices. Don’t fear the Terapeak acquisition. The tool may never be the same, but it will still provide the eBay functionality it was known for, and it will help you create better listings on eBay. You will, however, need other solutions to help you source profitable products and to perform comprehensive market research so you increase your margins and avoid buying low demand stock.